Come out and join us for a fun evening of gaming. We will have food, drinks, silent auction items, and more. 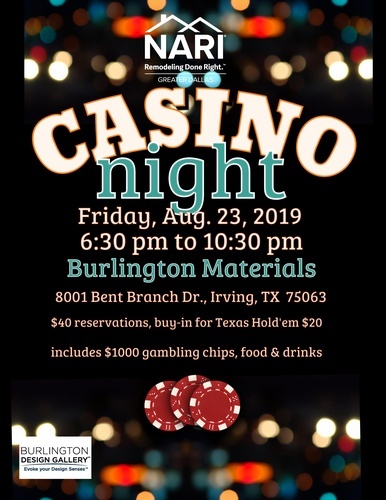 Each ticket includes $1,000 in gambling chips, but if you RSVP by 6/30/19, you will receive an additional $1000. At the end of the evening we will have a raffle with some great prizes.